I’ve been a self-published author for about three weeks, so it’s time to take my wealth of wisdom and share it with the world. There are a few steps you need to take before you can make your book available to the world.Â Beyond the obvious revisions and editing, you also need to format your manuscript so it looks correct on ebook readers and print versions.Â In my case, I have separate files for each format.Â If a reader tells me that there’s a typo, I’ll need to update each file with the fix and submit it individually to each publisher. That brings me to my next point.Â Even before you can format, you have to decide where you’re going to release your book.Â I have four places in my case: Amazon, Barnes and Noble, CreateSpace, and Smashwords.Â Each one needs a different ISBN, so I ended up buying a block of 10, which allows me to prepare for my next book that will be released sometime next year. After you’ve got your work in finished form, you need to register your copyright.Â Go to http://copyright.gov to do so–if you’re creating a print version, you’ll need to mail two copies of the book in order to register your copyright.Â ebooks can simply be uploaded after you’ve paid the $35 fee. There are many other opportunities (and probably a few things I’ve missed that I’ve done), and I’m trying a lot of different things.Â However, by far the best way to get additional sales has been for those who enjoy the book to talk about it with others.Â Word of mouth is amazing at selling books.Â A few vocal readers have done a lot to help get my work out there. 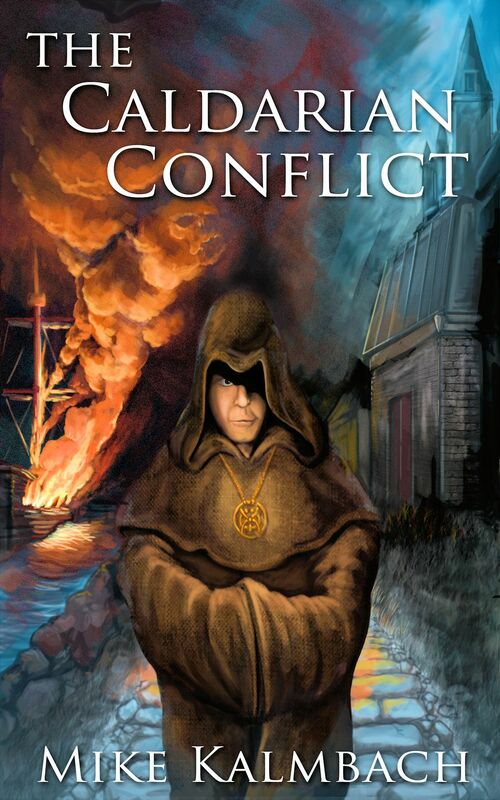 As a related aside, I’d love to get my novel into book clubs (The Caldarian Conflict is a fantasy novel, so fantasy book groups would be best for me), so if you have any advice on that, let me know in the comments below. The biggest issue I’ve found is that many people presume a self-published novel will be low quality.Â This is hard to change.Â However, since I know people are concerned about quality, I offer them a free preview of the book so they can decide for themselves.Â Many of those who read the preview ended up buying the book. By my estimation, it’s possible to make a reasonable living by selling between 75 and 100 books per day.Â Since at the moment I’m only selling about 2-3 books per day, that’s a pretty far stretch.Â However, by writing more books, suddenly it becomes much easier to achieve that goal. With one book, you might need to sell 75-100 copies per day. With two books, you might need to sell 35-50 copies of each book per day. With ten books, you only need to sell 7-10 copies of each book per day. So while I’m spending a majority of September taking advantage of the time to market my debut novel, I’m going to spend October and November finishing up the draft of a second. With a little luck and a lot of work, I should be able to release the new novel by mid-next year.Â I also have a few short stories I may decide to release in the interim. That’s all I’m planning to divulge tonight. What do you think?Â Am I missing something? Or are there other areas to explore? Wow, Mike, great post. As I said in my tweet to you, I’m in the middle of The Caldarian Conflict, and you’ve done an excellent job on this book. Definitely high quality writing, perfect formatting, and I haven’t spotted any typos, which I’m usually pretty good at catching! I really enjoying this story so far. When I think of “fantasy,” I don’t usually think of pirates. There must be another genre to categorize this in besides fantasy. Some men just aren’t into the fantasy genre, but I think The Caldarian Conflict is a cool story that men would enjoy. I’m a slow reader and will write a review as soon as I finish. But by being a slow reader, it allows me to bask in the story longer than most readers! Thanks for sharing about your self-publishing experiences. Sounds like you’ve covered all the angles. I think you’re right on the catelogue aspect–having many titles. If a reader likes Book A from you [they’re] inclined to try B, C and D. But they have to find Book A and like it. Updated the typo for you. 🙂 I completely agree that it’s dependent on them liking book A first. And it takes time for people to read the first one. That’s part of the reasons reviews are important. If lots of folks say that a book is good, then it tends to move up on the “to-read” queue. That’s very interesting Mike. Good information. I’ve been interested in how self-publishing works, and the different steps involved. I haven’t had a chance to begin your book yet, but it’s on my list! I’ll try to spread the word too. Another idea is I think the library has a list of books on their websites they suggest to book groups. You might want to check that out.